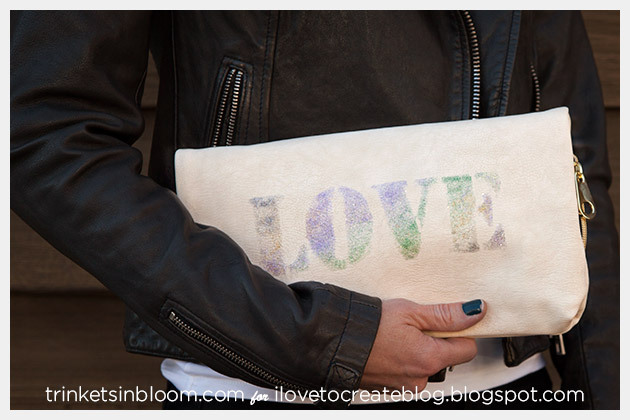 Clutches with text are a super hot trend right now. 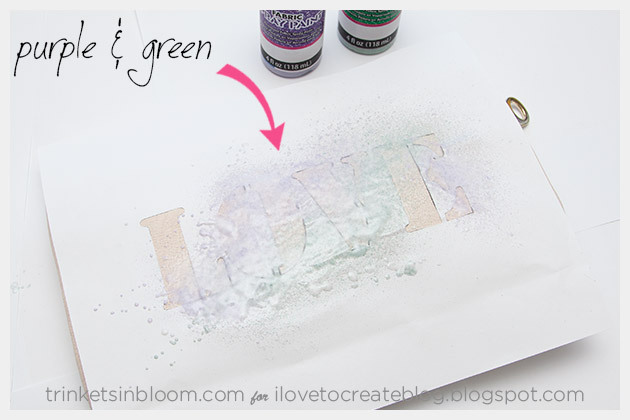 It’s easy to create your own with Tulip Glitter Sprays and a stencil. 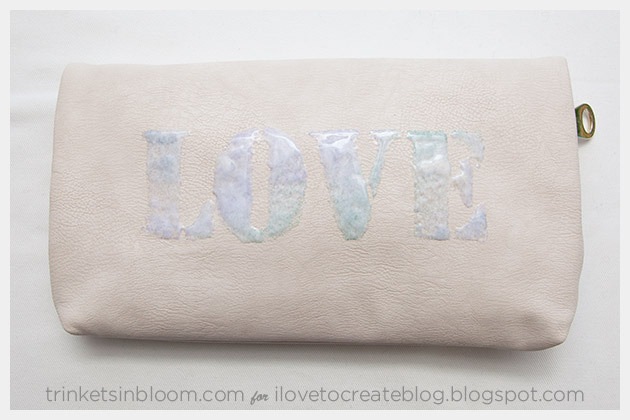 This DIY Love Clutch, is right on trend and fun to make. 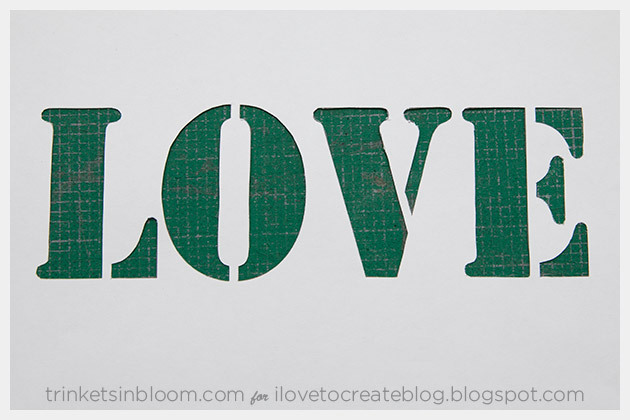 Share your fave hashtag #ilovetocreate #glam or #love, the message is up to you. 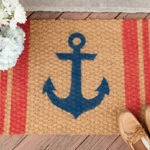 Personalize it and have fun! 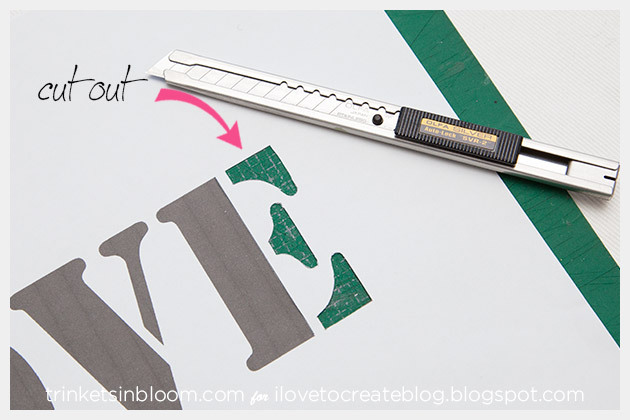 If you don’t already have stencil letters, you can create them with paper. 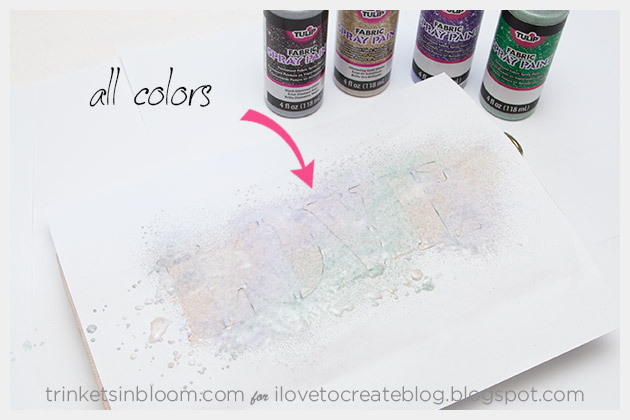 A heavier paper or cardstock works best, but you can use regular paper. 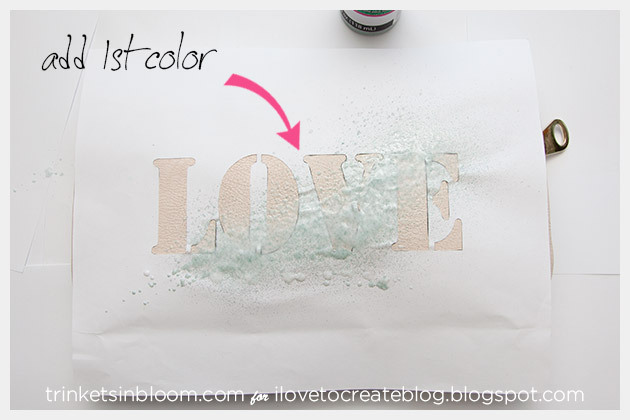 Just becareful that your sprays don’t get the paper too wet. 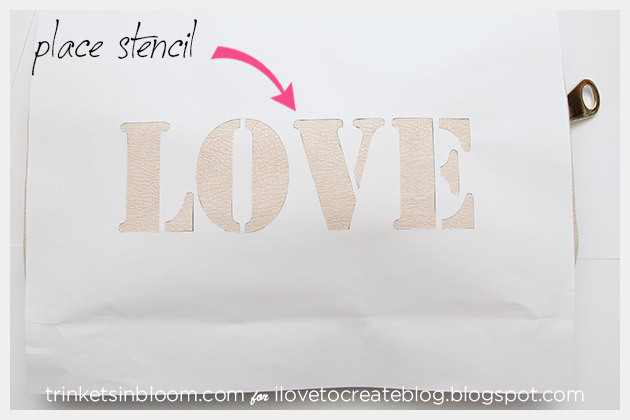 Use double stick tape or use Tulip’s Stencil Spray Adhesive to hold your stencil in place on your bag. Have fun with your colors! 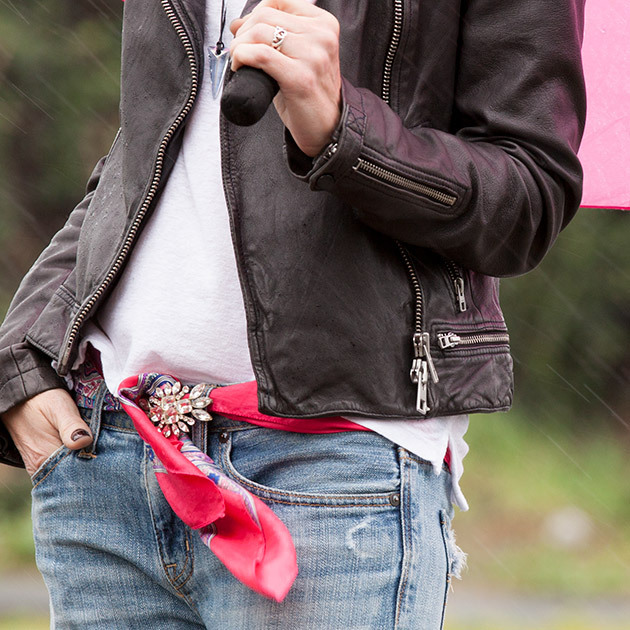 Mix them, layer them add stripes. Go crazy! 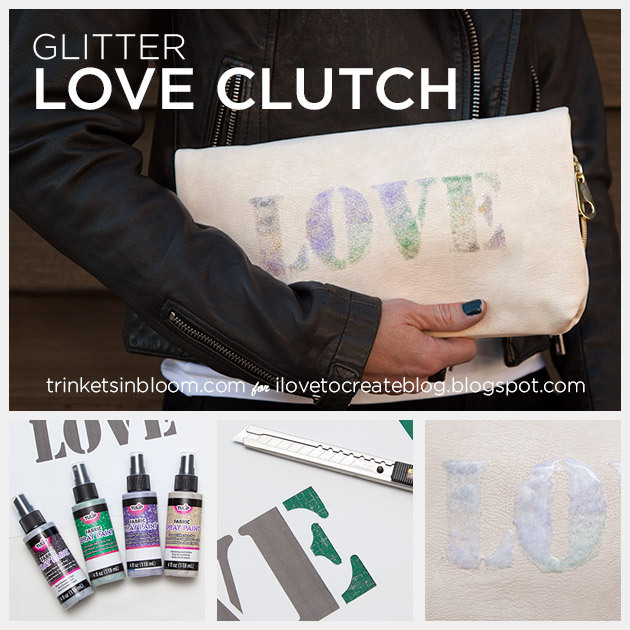 Carefully remove the stencil from your clutch and let the glitter dry. This would make a great gift for the holidays! 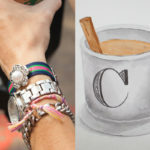 You can personalize it for someone special, add their favorite hashtag or their initials. 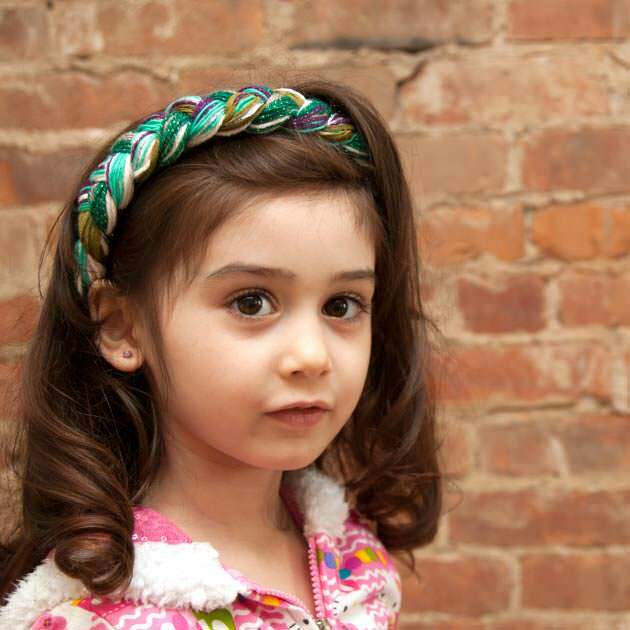 Have fun with this project and express yourself! 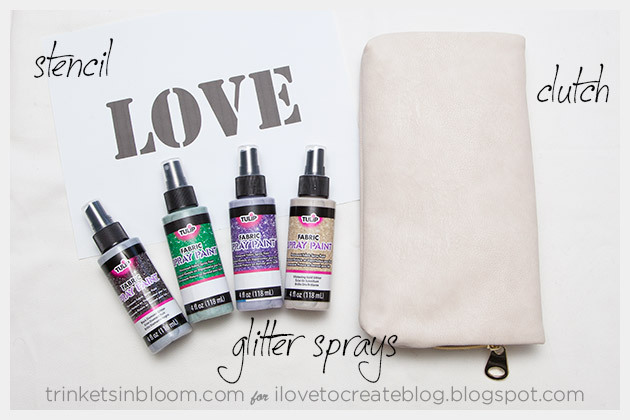 Leave me a comment and let me know how you’ll personalize your clutch. What word or hashtag you’ll use! This is a sponsored post. I have been compensated for this post, however all opinions, design and tutorial are my own.